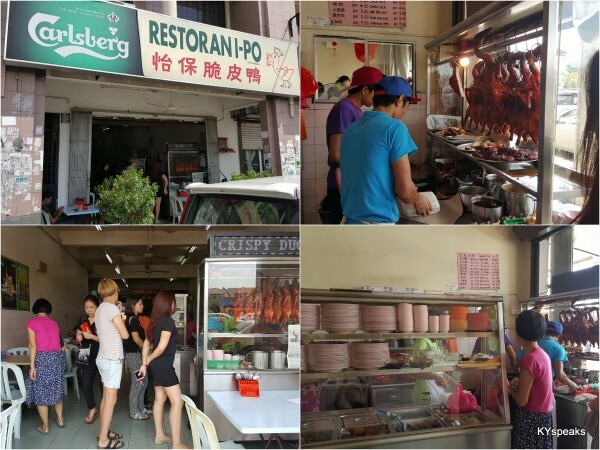 Continuing our effect of exploring more eateries in the west part of Klang Valley that is .. Klang itself, today we’re going to look at one of the most popular roast duck restaurants in the area. 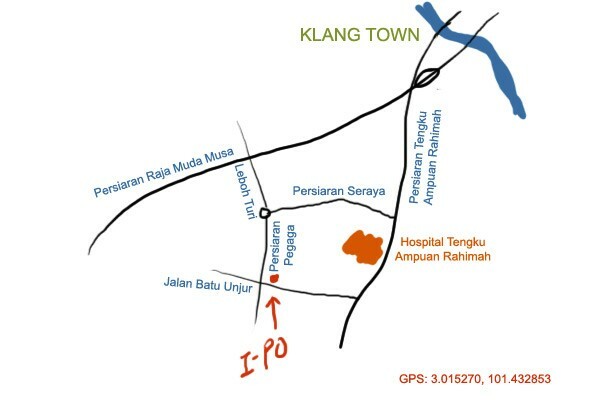 The name of the restaurant is I-Po, and as you may have guessed, a play on the spelling of Ipoh, the town up north famous for ladies with fair skin and temples within holes in their mountains. 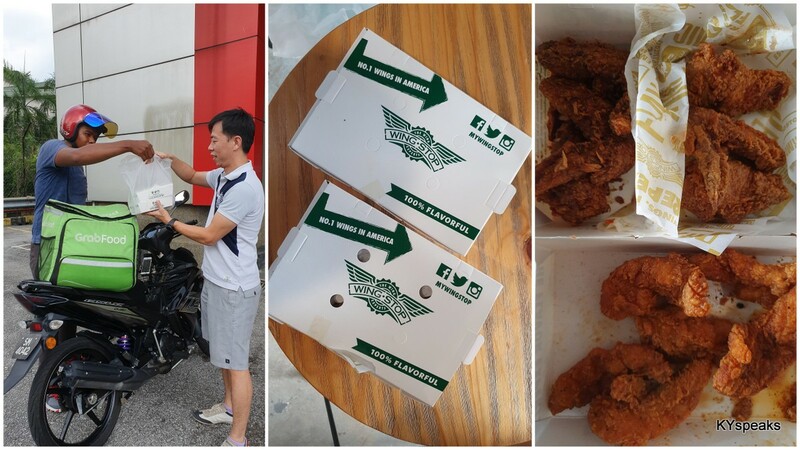 The restaurant itself isn’t too difficult to find, it is accessible via two different major roads in Klang, and parking isn’t something entirely too challenging. As an additional advantage, unlike most restaurants in Klang, this one speaks Cantonese (since they’re from Ipoh, I assume) in addition to Klang style Hokkien and Mandarin, which can be convenient to some. The restaurant offers a little more than just roast duck, you can also find roast pork, bbq pork, pork ribs, and several types of vegetables, tofu, eggs, almost ala mixed rice style. 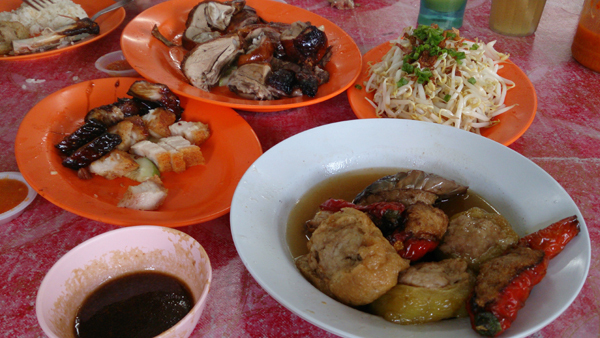 For lunch, we ordered a portion of roast duck, roast pork, ribs, and some salted vegetable to go with good old fashion steamed rice. A little bit of everything, really. 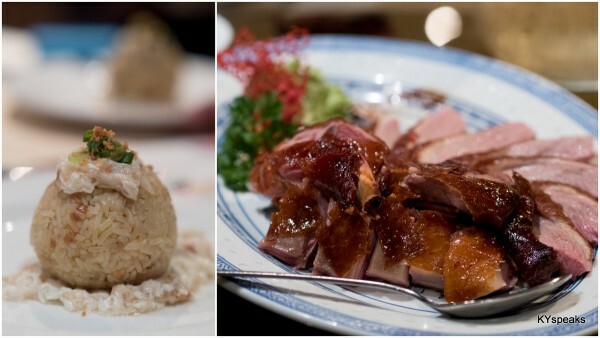 The roast duck did not disappoint, properly flavored, succulent meat with crispy skin, could hold its own among the better ones (such as Loong Foong & Sunrise in PJ, Chen Chen in KL, Sun Ming in Cheras), but the duck seems slightly smaller in size though. 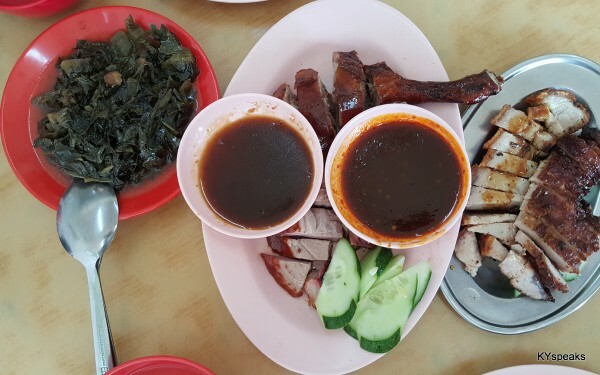 They’ve also got the skin for their roast pork down perfectly, which seems like something eateries at Klang does very well. 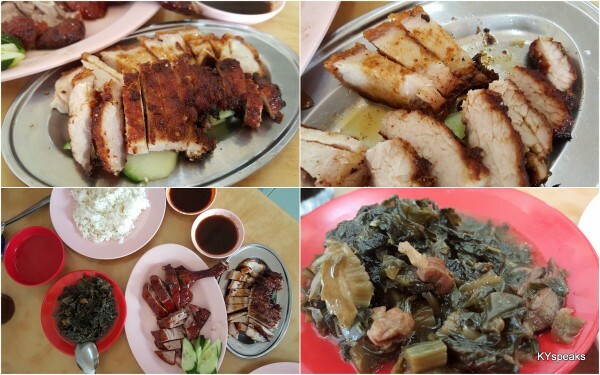 The pork ribs though isn’t exactly comparable with the gems at Peng Heong just a few kilometers away. What I really like though, is the condiments they provide here. The home-made chili sauce here is very different from the ones you get at usual roast duck places, it is slightly sweeter but has a good kick to it, I find it very appealing. 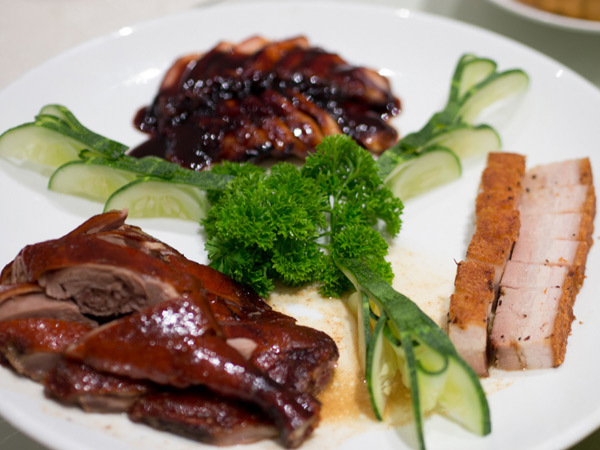 Of course, the usual roast duck sauce is offered as well. Overall I’d say it is a restaurant definitely worth visiting, especially if you’re at this part of town. Food’s pretty good and prices are fair. 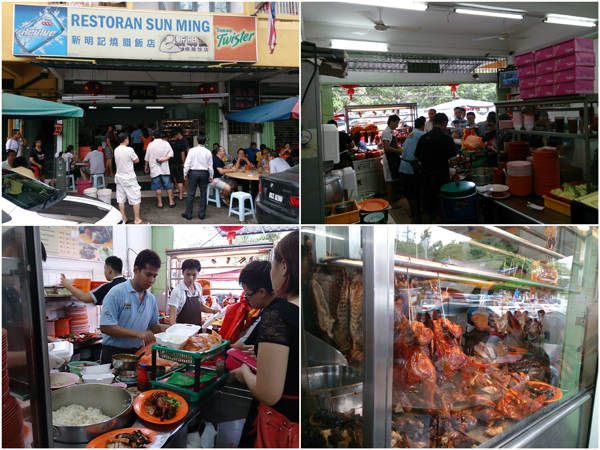 Remember, Klang isn’t just about bak kut teh. 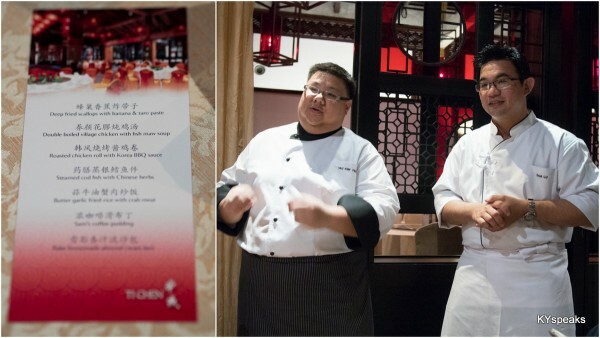 A couple weeks ago we were invited to sample Chef Sam Lu’s menu at Saujana Hotel’s Ti Chen Chinese restaurant. 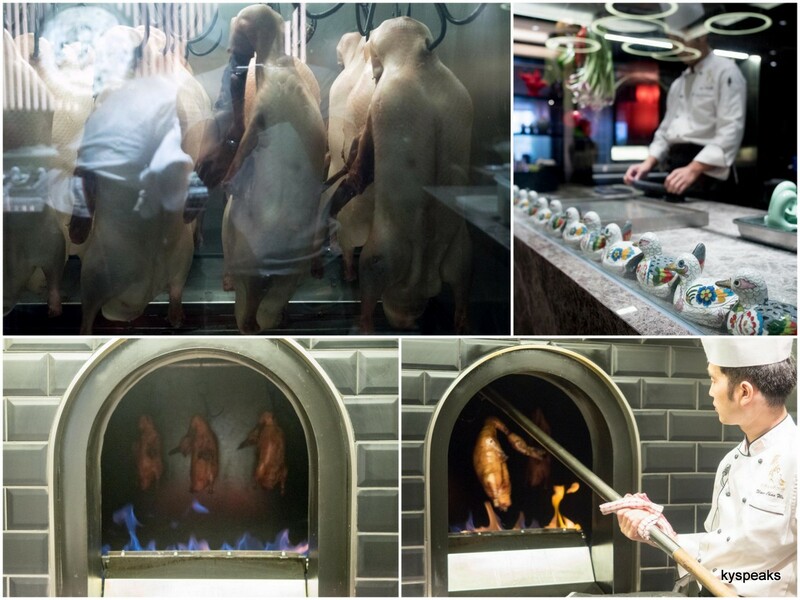 Chef Sam Lu is the new man in charge of the kitchen at Ti Chen, and one with multiple awards under his belt. 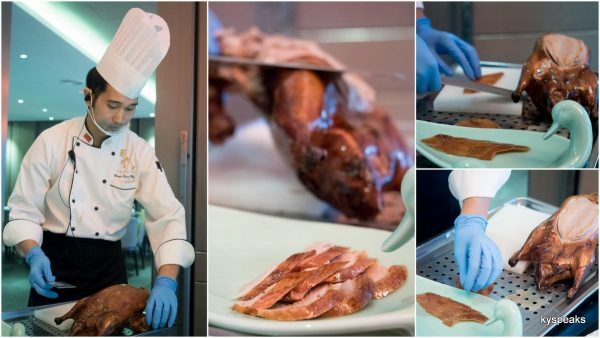 Chef Sam learnt the fundamentals of Chinese cuisine by attending the Chinese Cooking Course under China Hakka Famous Chefs and was also trained at the China Development Center of Molecular Gastronomy. 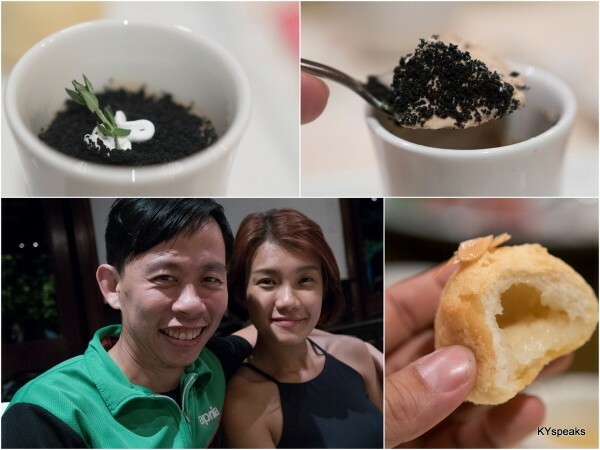 In this menu, the play between molecular gastronomy and traditional Chinese cuisine is very apparent, and we were lucky enough to be one of the few who got to try his creation at Saujana. 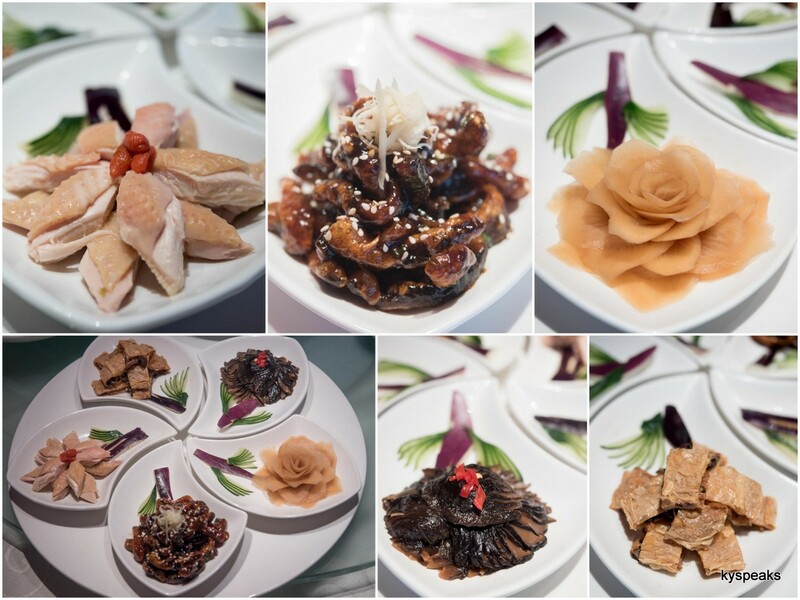 For this media review, we were served the following 7 course menu. The dinner got underway with a pair of appetizers. Deep fried scallop with banana and taro paste was a bit like an East-meet-West dimsim & dessert marriage. Banana gave the dish a soft and sweet texture, while the scallop contributed to the taste of seafood, pretty interesting. Roasted chicken roll with Korean BBQ sauce had a bit more of a traditional palate with a hint of Korean flavor, I find myself enjoying it quite a bit. The carefully roasted garlic was just an icing on the cake. 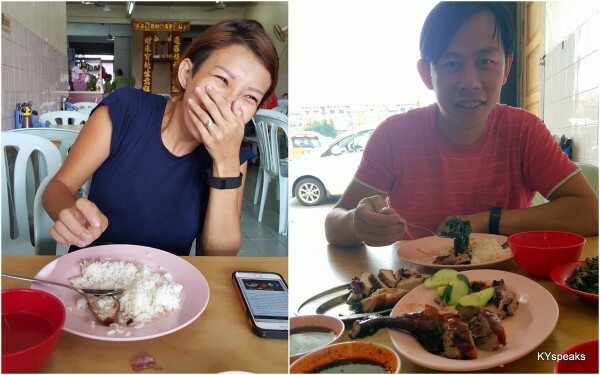 The double boiled village chicken with fish maw soup was the one dish that actually enticed Haze and I to go to this review session. We were spending a lot of time with house renovation and thought a bowl of good soup would do us well, we were not wrong. According to the good chef, the soup took no shorter than 6 hours to prepare. 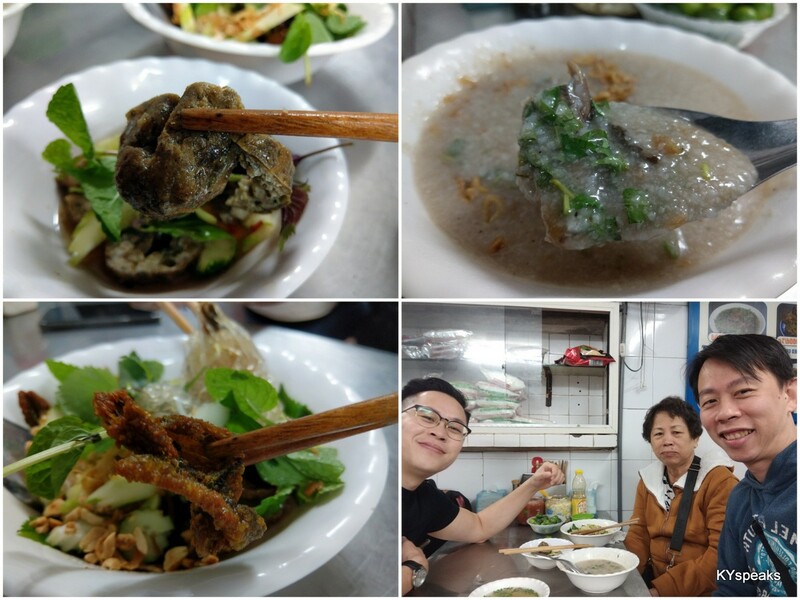 The fish maw was soft and tender, and the soup positively rejuvenating. 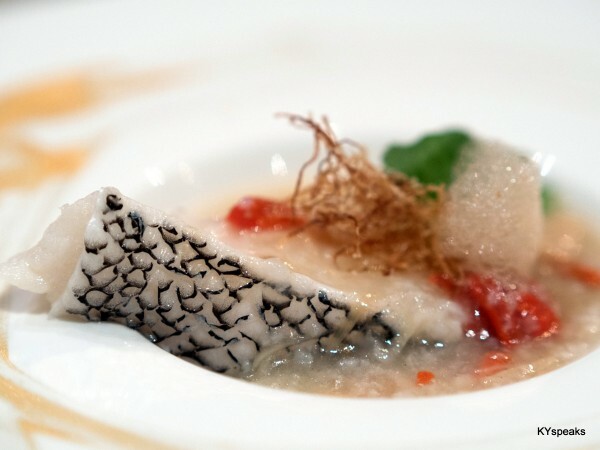 My favorite dish came next – the steamed cod fish with Chinese herbs. The filet was absolutely fantastic, it was tender, juicy, and just lightly seasoned. I like the presence of wolf berry in the broth, and that foam from the influence of molecular gastronomy. As with any proper Chinese course dinner, there’s always a dish with carbo, and our version came in the form of butter garlic fried-rice with crab meat. Instead of the traditional dryer and more fluffy type of fried rice, this version takes the cue from Italian risotto and prepared a little wetter. To be honest, I prefer the Chinese fried rice of old, not that this one is bad, it was just.. unfamiliar. We were also given a plate of roast duck, which was prepared differently from the traditional method. It was tender, juicy, and goes very well with any sort of rice, or just on its own. Desserts came in the form of Sam’s coffee pudding and bake homemade almond cream bun. I personally liked the almond cream bun, but almond is a bit of an acquired taste so I think it didn’t find too many fans among the reviewers around the table. The coffee pudding had a better reception for sure, with it’s cute presentation and subtle coffee taste to a sweet ending. 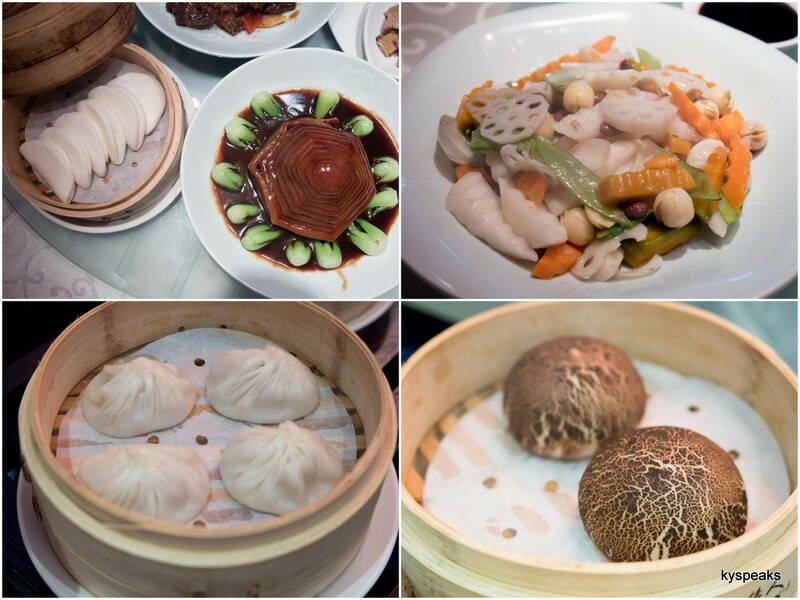 Ti Chen is open from Tuesday to Fridays for lunch (12-2:30pm), dinner (6-10pm) and on Saturdays & Sundays for lunch (9-2:30pm) and dinner (6-10pm). 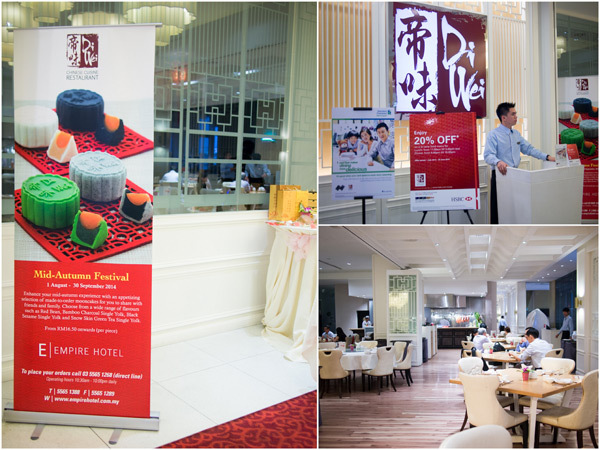 A couple weeks ago I was invited to Di Wei Chinese Restaurant at Empire Hotel to sample their mooncakes for the upcoming Mid-Autumn festival as well as a few of their new fish dishes. It was my second time visiting this rather classy non-halal Chinese restaurant, with the first time sampling some alcohol product that was never brought into the country commercially (Yuzu! ), hence the lack of prior blog entry. 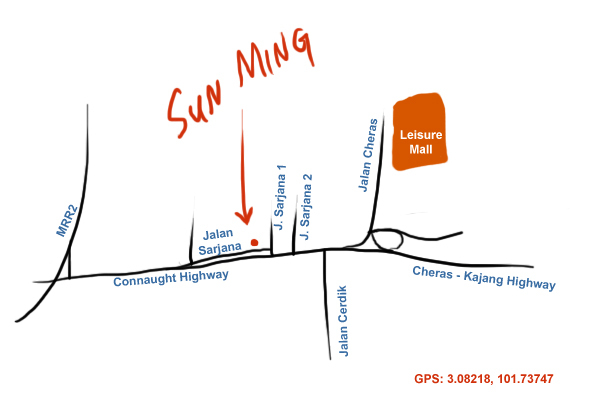 The restaurant is accessible from the hotel as well as directly from the top floor of the shopping mall. Like most Chinese restaurants, Di Wei carries a pretty decent selection of dishes, from bbq meat, traditional double boiled soup, dried seafood such as abalone and sea cucumber, live seafood, beef, pork, chicken, duck, beancurd, egg, vegetable dishes as well as fried rice and noodle. On our review session, we sampled three new fish dishes as well as their mooncakes. First dish was braised marble goby fish with iced beancurd and pork belly (RM 168++ per portion). Marble goby is one of the most prized freshwater fish for its smooth texture and layering meat. 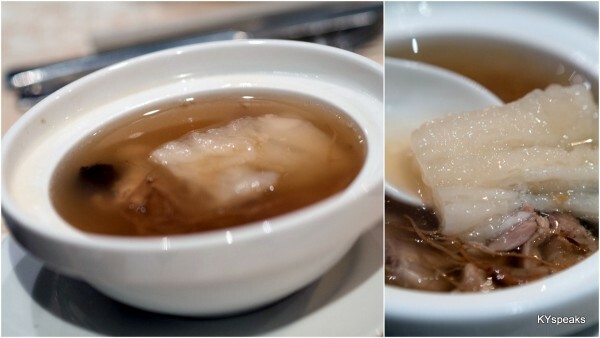 The usual preparation method usually by steaming, but the chef at Di Wei decided to deep fry the fish and braise with special sauce with addition of pork belly and iced beancurd. 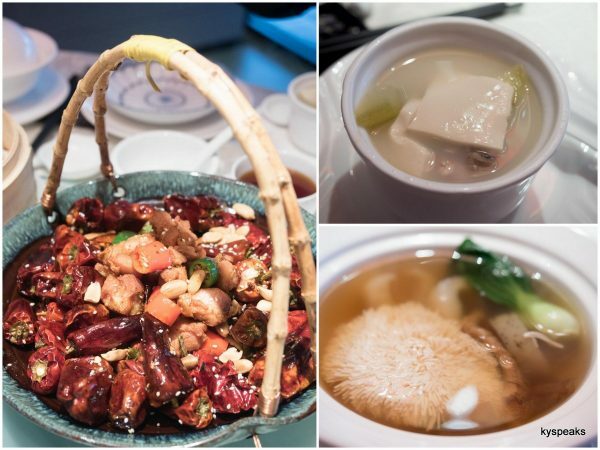 The beancurd, being frozen prior has many air pockets that soaks up the sauce, which makes for an interesting way to enjoy the dish. 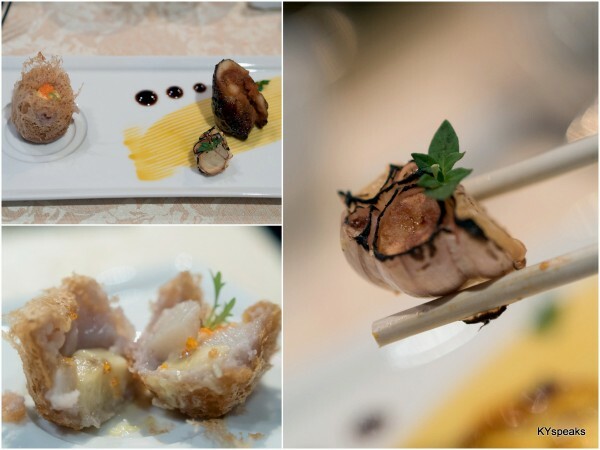 The fish did not lose it’s original taste with the deep frying process, but gained extra smoothness from pork belly. I love it. 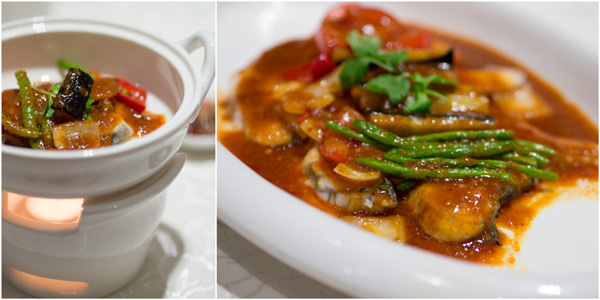 Next up was steamed seabass in assam sauce (RM 122++ per 100 gram). 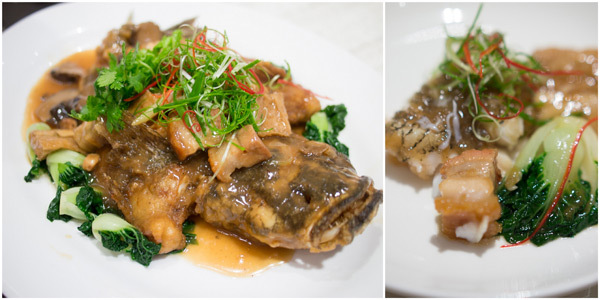 It was basically a high class version of asam fish that is quite common in many Chinese restaurants, with seabass doing the major lifting in the quality department. This dish should be consumed quickly if served in the heated bowl, as the heat may otherwise overcook the fish over time. 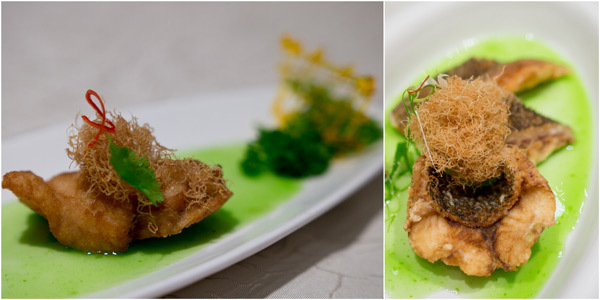 Pan fried giant grouper with green apple sauce (RM 23++ per 100 gram) is a dish that may not get approval for giant grouper lovers who love to have this fish the traditional way – steamed with superior soya sauce. I tend to agree, but pan frying the fish gives the skin a new and exciting texture to ponder about, with the addition of apple sauce making it pretty interesting. It is a bold attempt no doubt, but one that hasn’t surpass the traditional cooking method of this prized seafood yet, I’m afraid. 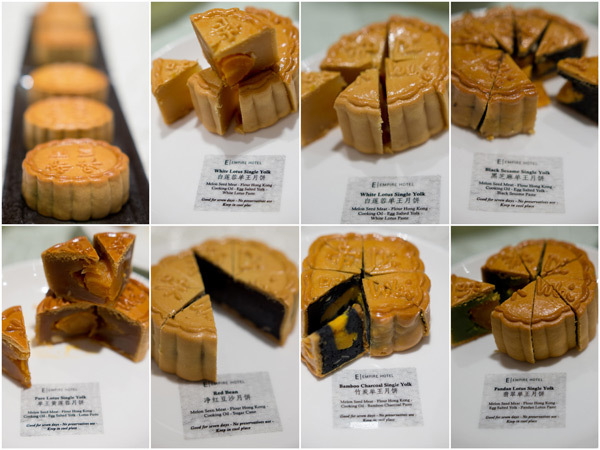 So then, lets move to mooncakes. My favorite being the bamboo charcoal and white lotus single yolk, and my complain is – why not double yolks? or even better, quadruple yolks? 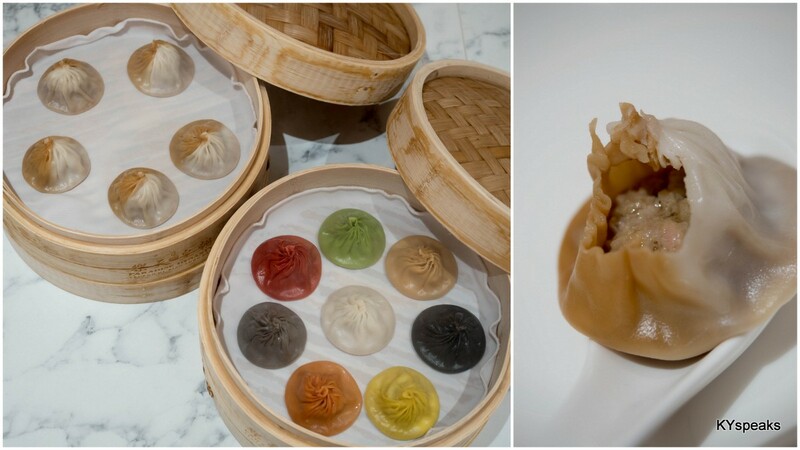 I like them all, but my favorites were black sesame and bamboo charcoal versions. 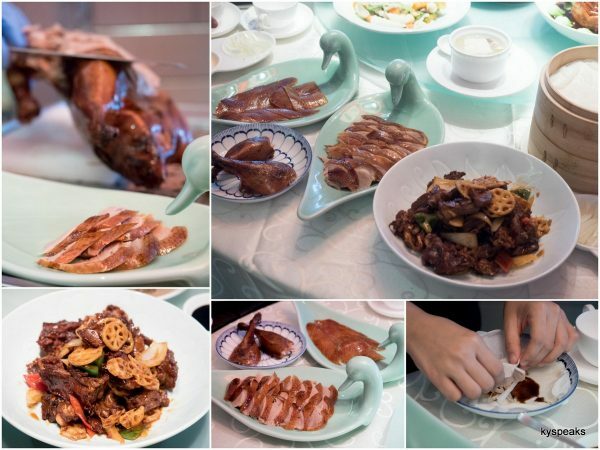 Since mooncakes and three dishes of fish weren’t exactly fulfilling enough to our collective stomachs, we ordered Di Wei’s three meat platter as extra (small – RM40++, medium – RM60++, big – RM80++). 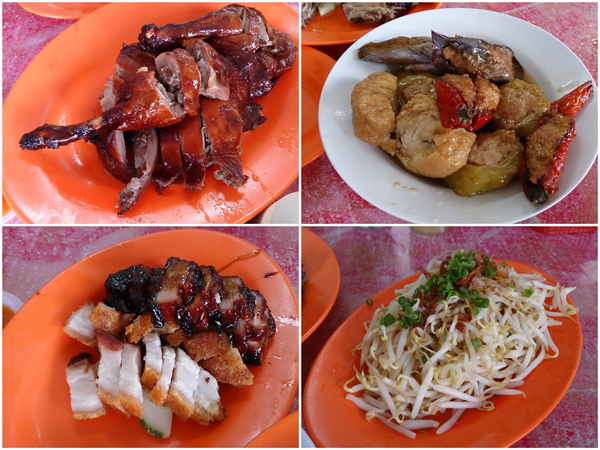 The BBQ pork (chasiu) was perhaps not the best I’ve had, but the roast duck very good, and roast pork turned out to be really excellent. 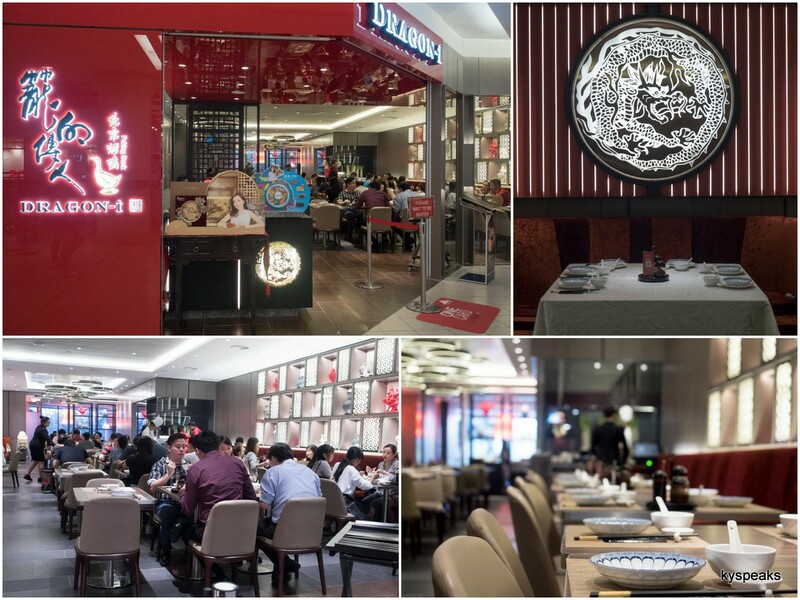 So if you’re into mooncakes, Di Wei offers some excellent choices, and for good quality fish in some non traditional cooking style, this is also a place you should check out.